Before each concert, we share “Manny’s Musings,” thoughts from our Music Director and Conductor, Manny Laureano. This is the first edition of the “Musings” for the “Music in 3D: #4” concert that will be performed on Sunday, April 2, 2017. It’s inevitable. Composers live their lives and eventually confront the events that make them who they are or prevent them from having what they want. Beethoven was forced into a life of ironically cruel deafness. Berlioz was dogged by the deaths of three wives. Tchaikovsky avoided but then could not deny his homosexuality. The Jewishness in Mahler’s background would never be accepted by the Viennese, regardless of his religious conversion to Catholicism. It is easy to hear the frustrated outbursts in the music of these men, whether it comes in the form of a jagged motif which begins a Fifth Symphony or powerful brassy blasts that recur in an F minor symphony. Sometimes the angst is more subtle when heard as musical sighs or weeping. 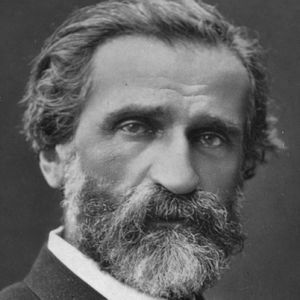 When Giuseppe Verdi (1813 – 1901) dedicated an entire opera to the power of destiny, he had long since eschewed the merry romp that an Italian opera overture would often be, such as the kind Rossini would write to engage his audiences. After all, when Verdi wrote his operas, the so-called Age of Enlightenment was well upon European audiences and their respective cultures. Tragedies became synonymous with operatic plots, now that people’s eyes were being relentlessly opened to human suffering. Verdi wastes no time in establishing the three knocks of destiny, or fate, with powerful octave shouts from the orchestra’s brass section. An intense, undulating theme rises and falls in the strings to compete in a different way with the rest of the orchestra. The tender moment that reveals the theme sung by tragic heroine, Leonora, is overcome by the gyrations of the earlier minor material. A sustained theme of hope is heard accompanied by two harps. Surely all will end well? Will the Deus ex machina appear in the form of the warm brass chorale save our heroine? Well, it is, after all, a tragedy.